A sepia-colored photo of (l-r): Joe Donohue, Alex Marsden, Jack Cronin, and Jack Marsden. 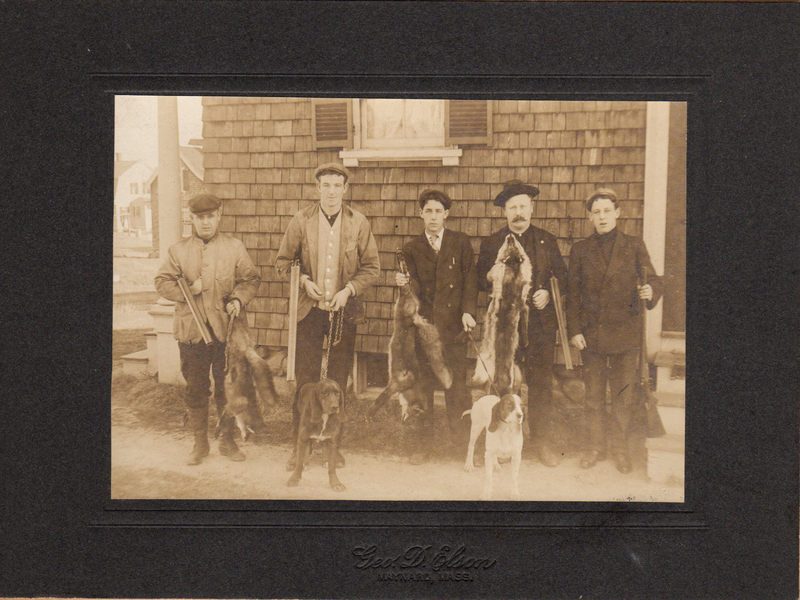 They are posed with their dogs and fox skins. Geo. 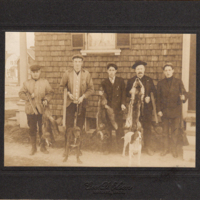 D. Elson, Maynard, MA, “Fox Hunters,” Maynard Historical Society Archives, accessed April 25, 2019, http://collection.maynardhistory.org/items/show/3697.